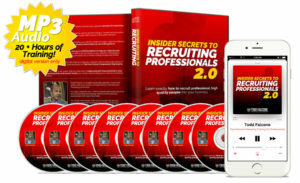 The 23 Unbreakable Rules of a Master Prospector is designed for individuals who want to become a MASTER at their craft, and always be a dominant figure in whatever company they are building. 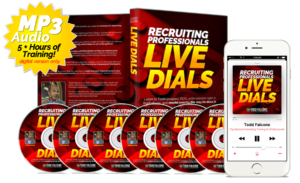 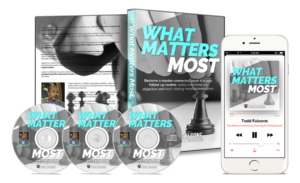 Prospecting Mastery is at your fingertips and now well within your grasp because of this audio series. 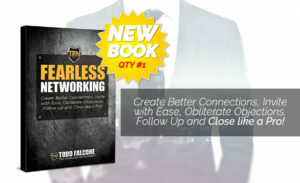 Todd Falcone cuts through the clutter and details the importance of following and living by these 23 Unbreakable Rules that will lead you to Master status in the prospecting arena. 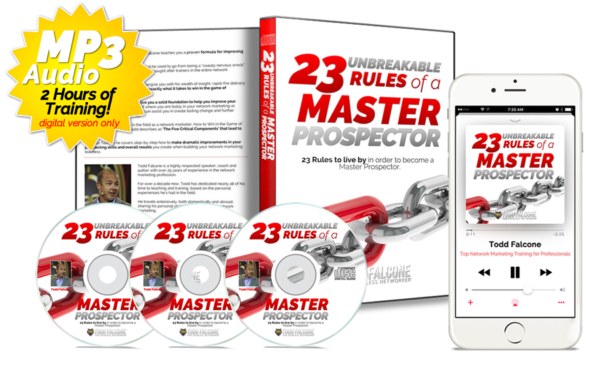 If you’re a person who wants to be the best and to be considered at the very top of your game…and stay there, then The 23 Unbreakable Rules of a Master Prospector is a must have training in your arsenal.